TransLoc hosted a conversation about agency-owned microtransit with (left to right) TransLoc National Director of Policy Josh Cohen, CEO of Norwalk Transit District Kimberlee Morton, CEO of Sacramento Regional Transit District Henry Li, CEO of TransLoc Doug Kaufman, Executive Director of St. Louis Metro Transit Jessica Mefford-Miller, and CEO of Kansas City Area Transportation Authority Robbie Makinen. 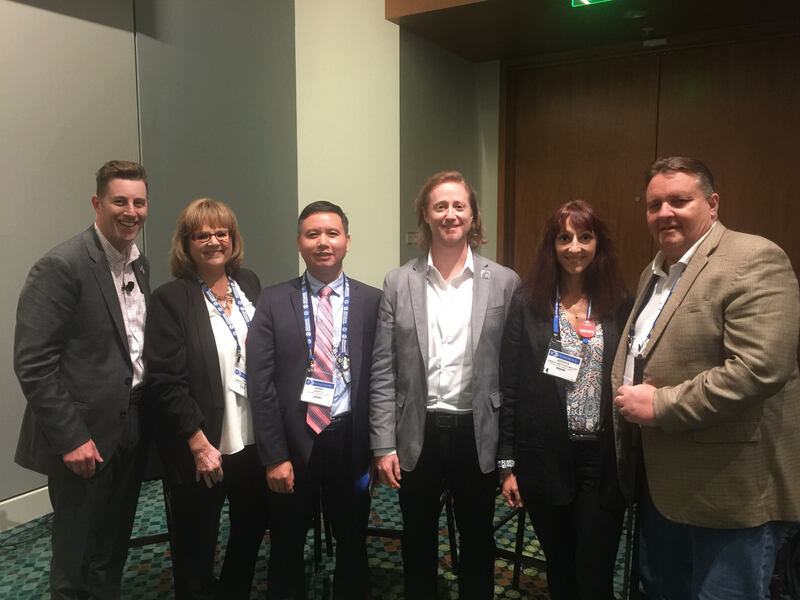 NASHVILLE, Tenn., Sept. 28, 2018-- Monday night TransLoc hosted “The Microtransit Pioneers: A Conversation with Transit Innovators” event at the American Public Transportation Association (APTA) annual meeting. Over 80 city and transit officials joined the conversation on how to work together to find solutions through agency-owned microtransit. The highlight of the event was the “Reimagining Public Transit with Microtransit” panel discussion, hosted by TransLoc National Director of Policy Josh Cohen. Panelists included CEO of Sacramento Regional Transit District Henry Li, Executive Director of St. Louis Metro Transit Jessica Mefford-Miller, CEO of Norwalk Transit District Kimberlee Morton, and CEO of Kansas City Area Transportation Authority Robbie Makinen. The conversation covered topics ranging from community development to taking risks with new transit approaches. As panelists shared, sometimes those risks came with failure.